What does a Kennedy's Barber Club Franchise Cost? Everybody wins at Kennedy's All-American Barber Club. Kennedy’s All American Barber Club is a great start for a new franchisee. With a straight forward business model and a simple revenue and expense model, it is a simple and profitable first franchise venture whether or not you plan to lead your Kennedy’s team on a daily basis or lead as an absentee owner. 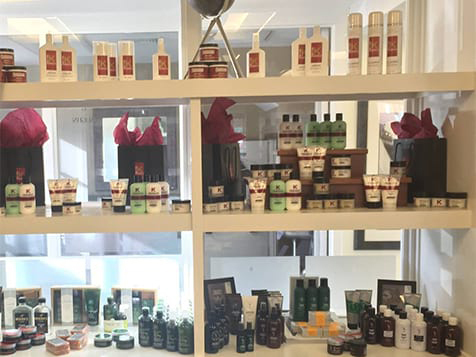 Kennedy's Barber Club provides memberships where everyone feels included in a relaxed, sophisticated environment. No prior barbering experience necessary. Open Kennedy's Barber Club in any of these available states: AL, AK, AZ, AR, CO, DE, FL, GA, ID, IL, IA, KS, KY, LA, ME, MA, MI, MS, MO, MT, NE, NV, NH, NM, NC, OH, OK, OR, PA, RI, SC, TN, UT, VT, WA, WV, WY, DC. 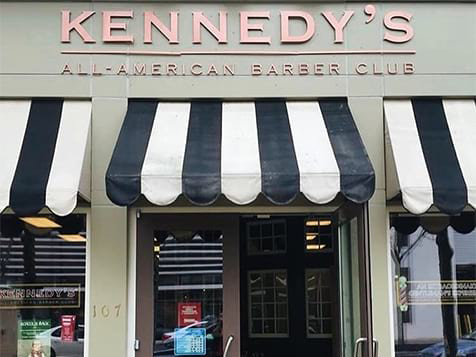 Kennedy's All-American Barber Club offers the finest haircuts for men, the lost art of straight-razor shaves, and a modern selection of grooming products. 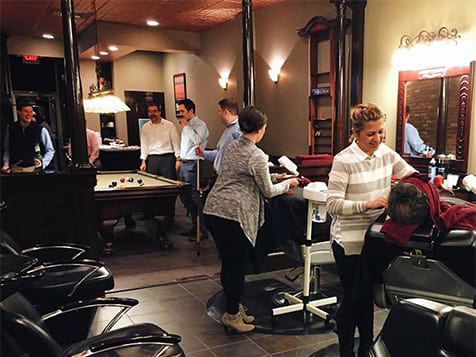 Kennedy's is reminiscent of your father’s barbershop and is sure to become your favorite sanctuary to relax and finally enjoy an experience every man deserves. A man wants to feel like a man, and that sentiment shouldn’t be compromised for a haircut. Reminiscent of the old-school barbershops, Kennedy's All-American Barber Club offers more than the highest-quality haircuts, straight-razor shaves and styling products available. 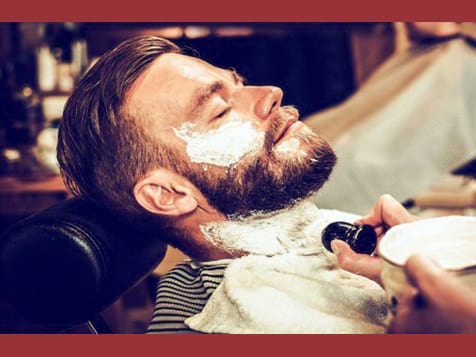 Men’s grooming products generated sales of $192 million in 2015 and a 9% current value increase over 2015. Growth was fueled by demand for shaving related products and deodorants as well as the product novelty of men’s skin care and hair care products. However, demand for men’s skin care products mostly emanates from high-income earners, especially as lower-income groups would consider most of these products non-essential. Become a Kennedy’s Barber Club owner, the leader in the men’s grooming industry. Kennedy’s is poised to become the next big brand and wants you to expand with them. Complete the inquiry form today to learn more about owning a Kennedy's near you.